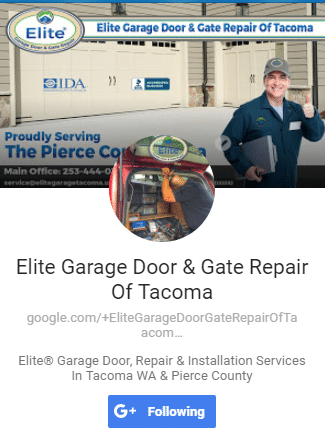 Elite Garage Door & Gate Repair of Tacoma, WA is ready and waiting to diagnose and repair your garage door equipment needs. Noisy tracks, rusty panels and, worn springs are only a few potential problems our licensed professionals deal with on a daily basis. From installation to routine maintenance we want you to be delighted while addressing any concerns you have about the age or safety of your garage door and equipment. 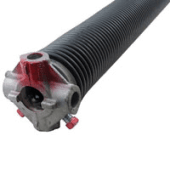 The springs in your garage door assembly help relieve tension from your opener so that your door doesn’t slam down, possibly injuring you or a family member. This component is under considerable stress which is why you should always call a certified technician to diagnose or replace springs. We have the tools and the experience to remove the components correctly and with minimal cost to you. Elite Garage & Gate offers Two(2) years warranty for parts and 90 days warranty for labor. We want you to have the best service for the best value for your money which is why we are fully confident in our repairs and replacement parts. Time is money so when you give us a call our licensed technicians arrive quickly with a fully stocked truck, ensuring they have all the tools necessary to do the job right the first time! We want you to rest assured that your garage door operates smoothly and efficiently which is why our 25 point safety inspection can identify most issues before they happen. Safety and reliability is our top priority which is why we send only fully certified technicians, not sub-contractors, out to take care of all your garage door repair and maintenance needs.